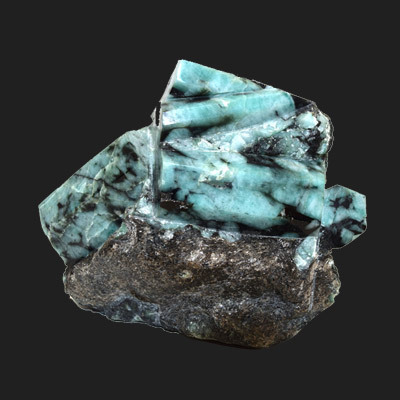 Called the Stone of Abundant Love, Emerald opens and nurtures the Heart Chakra and has a calming effect on the emotions, encouraging unconditional love and compassion. 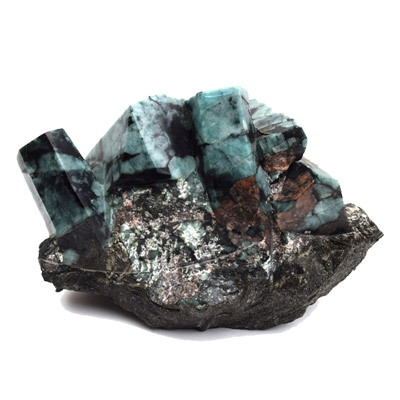 A stone of inspiration and infinite patience, Emerald promotes balanced relationships, contentment and domestic bliss. Its soothing energy provides healing to all levels of being, bringing freshness and vitality to the spirit. Emerald symbolizes hope for the future, renewal, growth, prosperity and abundance. It is a stone of vision, intuition & clairvoyance, enhancing mental clarity and inspiring deep inner knowing. This mineral is variety of Beryl ranging from yellow-green to blue-green, colored by trace amounts of chromium and vanadium. Emeralds are ancient gemstones, revered by many cultures for over six thousand years. They were sold in the markets of Babylon in 4,000 B.C. and mentioned in the oldest book in the world the Papyrus Prisse. Emeralds were considered a symbol of eternal life in ancient Egypt, a gift of Thoth, the god of wisdom, and were a favorite jewel of Queen Cleopatra. Emeralds have long been associated with royalty, talismans of Aristotle, Alexander the Great and Charlemagne. Shah Jahan of India, famous for building the Taj Mahal, inscribed his collection with sacred texts. Emeralds were highly prized by the Incas and Aztecs and the Chaldeans believed they contained a goddess. Traditionally they were used for protection against enchantment and spells and to foretell the future. Emeralds are highly honored in all major religions for their spiritual power and beauty. Afghanistan, Australia, Austria, Brazil, Bulgaria, Cambodia, Canada, China, Egypt, Ethiopia, France, Germany, India, Italy, Kazakhstan, Madagascar, Mozambique, Namibia, Nigeria, Norway, Pakistan, Russia, Somalia, South Africa, Spain, Switzerland, Tanzania, the United States, Zambia, and Zimbabwe.